We access the web on all sorts of devices from our laptop to our phone to our tablets. And we need our passwords everywhere to log into an account. This is why we made Firefox Lockbox, a way to securely track your Firefox passwords and access them anywhere. When we first released the iOS app, it was specifically for iPhone. This means the experience wasn’t optimized for iPad. That all changes today. You asked for it. We heard you. 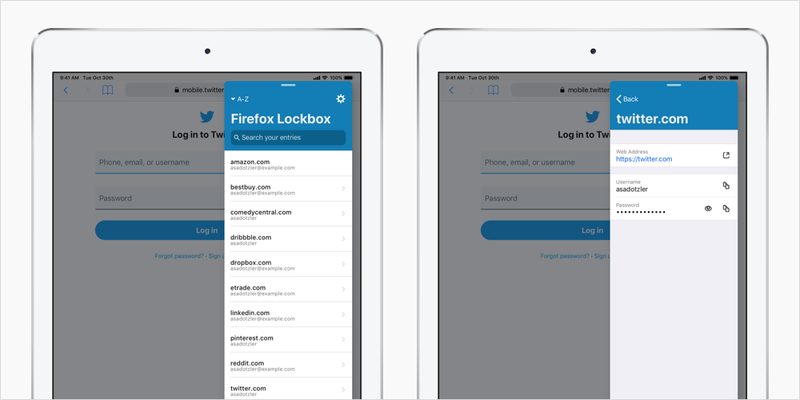 With the latest update, Firefox Lockbox gives you access to your passwords on iPad. With the improvements we’ve added for iPad, we’re now able to make use of the larger real estate available on these devices. You can easily navigate your accounts and settings, while still maintaining a similar look and feel to the experience you have on iPhone. Along with making this experience for the larger iPad device, we also included features to increase productivity. You can now view Lockbox in Split View, as well as drag and drop usernames and passwords from Lockbox into login forms. 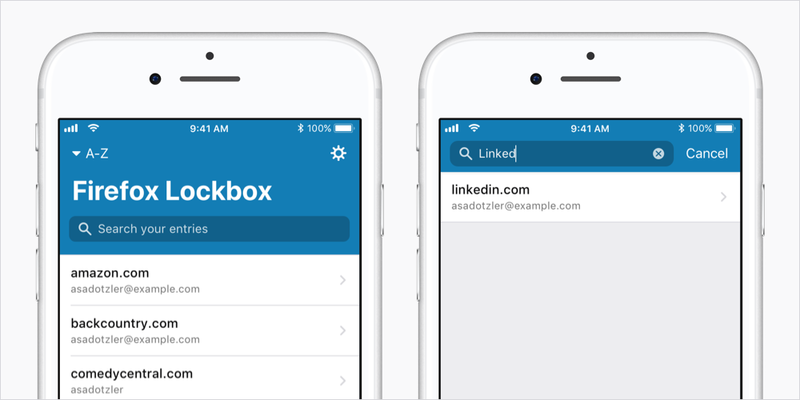 With this new version of Lockbox for iOS we’ve made searching easier and more like the search experiences you’re used to on your iPhone. Which means it’s a lot easier for you to get to the things you need to find, fast. Get the latest version of Firefox Lockbox for iOS today. Android users can sign up to try the Android app which will be coming soon. As always if you have any issues, please let us know. *republished on The Firefox Frontier. Product manager for Firefox Lockbox.